Hospice is not a place, but rather a model for providing quality, compassionate care for people facing a life-limiting illness or injury. Hospice care involves a team-oriented approach to expert medical care, pain management, and emotional and spiritual support expressly tailored to the patient’s needs and wishes. 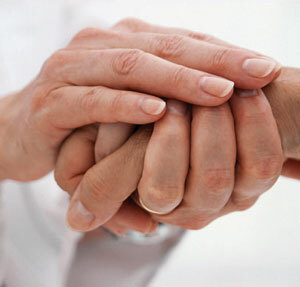 The hospice “unit of care” is the patient and family, and thus support is provided to the patient’s loved ones as well. At the center of hospice and palliative care is the belief that each of us has the right to die pain-free and with dignity, and that our families will receive the necessary support to allow us to do so. Hospice focuses on caring, not curing and in the vast majority of cases care is provided in the patient’s home. Hospice care also is provided in freestanding hospice centers, hospitals, and nursing homes and other long-term care facilities. Hospice services are available to patients of any age, religion, race, or illness. Hospice care is covered under Medicare, Medicaid, most private insurance plans, HMOs, and other managed care organizations. Home Health Care Professionals & Hospice recognizes that psychological, spiritual and social services, in addition to medical and clinical care, can contribute to an improved quality of life for patients and their families. Every patient is served by an entire team of dedicated professionals who are guided by the choices and decisions made by the patient, the family and the physician. Hospice services are available 24 hours a day / 7 days a week on an intermittent basis as directed by each patient’s individualized plan of care. If you have questions or would like to speak with us, please contact us at (570) 876-2900 or at info@hhcpinc.com. We will make ourselves available to you at a time and place that is convenient for you!